As promised last October, Apple announced this morning that its music streaming service is finally available in Australia, making it the first country outside of the US to receive it. 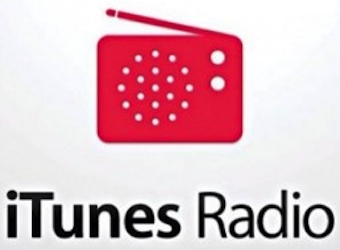 iTunes Radio is a free service that gives users access to over 100 stations and a catalogue of music from the iTunes Store, via your iPad, iPod touch, Mac, iPhone, PC or Apple TV. There are featured stations curated by Apple, as well as genre-focused stations that are personalised individually, working from your musical preferences. The more you use the service, the more it uses your choices to personalise your experience. iTunes Radio also boasts “access to exclusive ‘First Play’ premieres from top selling artists, plus the ability to tag or buy anything you hear with just one click”, says Apple’s press release. Other features include pre-release streaming of entire albums and special events – such as live streams of events like the iTunes Festival in London. A free service, iTunes Radio is supported by ads, though subscribers to iTunes Match are able to receive the service ad-free. In the latter case, all of your music, including the songs you’ve imported from CDs, gets stored in iCloud. It costs $34.99 plus GST to subscribe to iTunes Match for a year. When Apple tagged the Australian launch of iTunes Radio last year, it also named New Zealand, Canada and the UK as intended recipients for the service. Launches in these countries are expected to be announced soon, followed by 100 other countries further down the track. Of course, the streaming service will face some stiff competition with sites such as Pandora, Spotify and Rdio already well-established. But the Apple brand will no doubt give it some clout.